Such a pretty bag Mica and your looking wonderful! 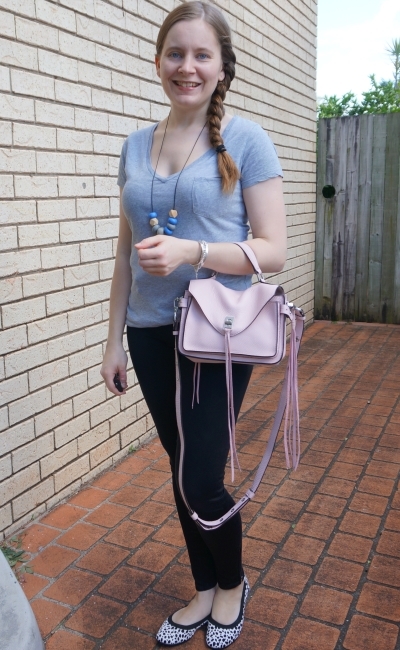 I do have a couple of light pink bags like this and they really are surprisingly neutral and go with a lot! Love how you've paired them with chic black and grey combos here. Always a favorite! I love that it's bright, but not too bright! Definitely goes with everything! 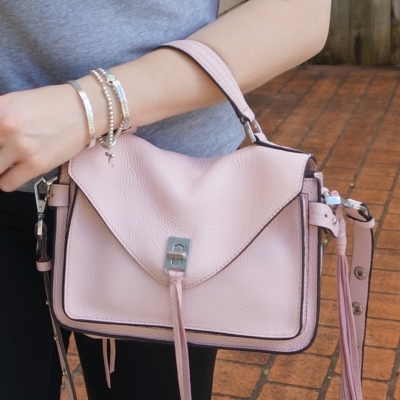 I really love the blush shade of your new bag - it's basically a neutral, so wear it with everything! 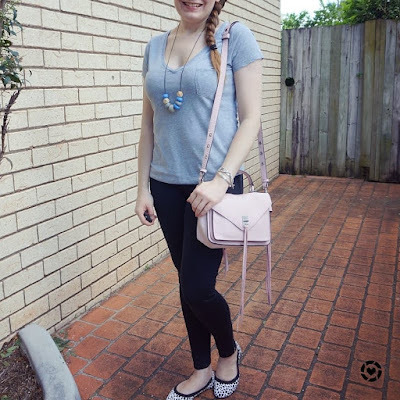 That RM pastel bag is such a great buy:) I didn't think pale pink would be such a great neutral colour but there yah go:D And the simplest outfits are always the best IMO. Love both your looks here. Definitely agree - simple and comfortable is the way to go! It's such a nice bag too. That purse is so fabulous Mica!! Even though it is pink, it really goes with everything. That pink bag is cute! You can never go wrong with a simple outfit. That purse is gorgeous! I love the color and I'm sure you'll be wearing it all the time! I have been wearing it quite a lot since getting it, haha! Kids seem to find every bit of mud and dirt within a kilometers radius. It is like a magnet to them! I think it's a kid thing! haha! 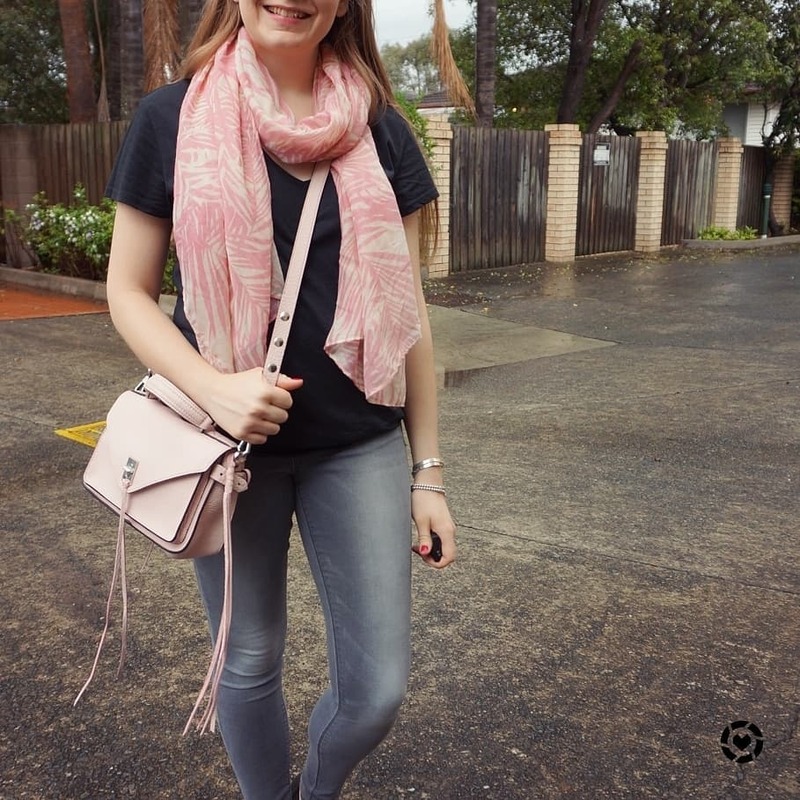 That is such a pretty pink bag! What a very beautiful bag! And it is perfect with the jeans and the tee! What a fun bag! I really want to get a good neutral crossbody and I keep seeing so many pink-ish ones but I am never sure how it would coordinate with what I wear. But it looks way more versatile than I thought! Plus, your grey skinny jeans remind me that I have a pair I want to snag on Black Friday!! Hope your week is wonderful! Again, loving the baby pinks! This is so pretty! Your accessories are so pretty and look wonderful with your neutral look! I also love your animal print flats. I need to get me a pair! What a lovely bag. Love the soft pink colour. Thanks so much for sharing your post with us at Welcome To The Weekend Blog Hop. Have a great weekend and we hope to see you soon. I love the colour of that bag - it's so pretty! haha yes! I love the tassels, I'm often playing with them without realising! Sometimes simple classic outfits are the best kind and just what one needs for the day. These are lovely looks. I especially like the pink accents in both looks. Black and pink always makes a lovely combo, and you're rocking it dear. Such a cute pop of soft color from the black tee.